Would your child enjoy riding and learning all about horses? 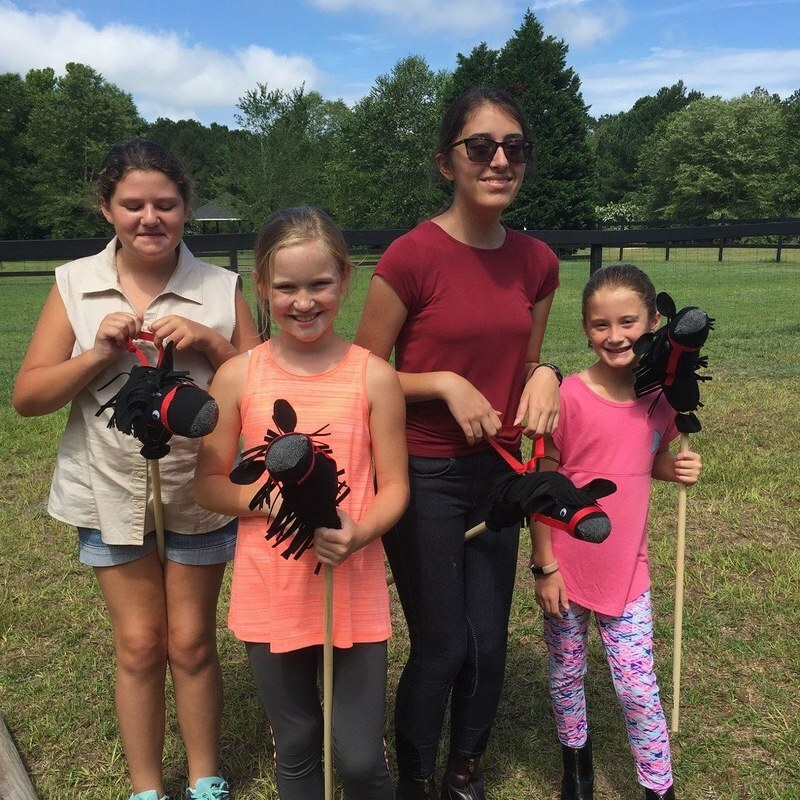 Sign them up for horse camp! 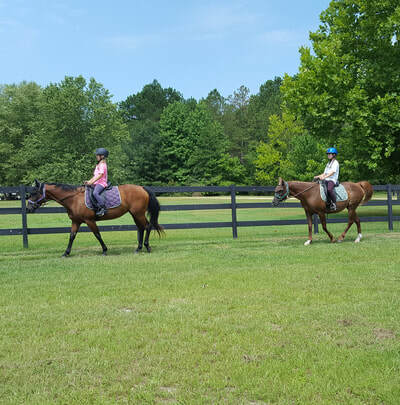 The kids will have daily riding lessons with two students at a time. 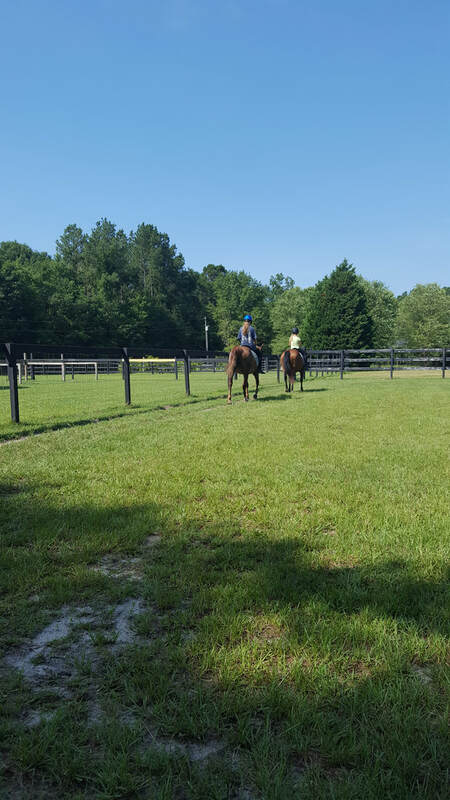 They will work on becoming relaxed and balanced in the saddle while moving with the horse. 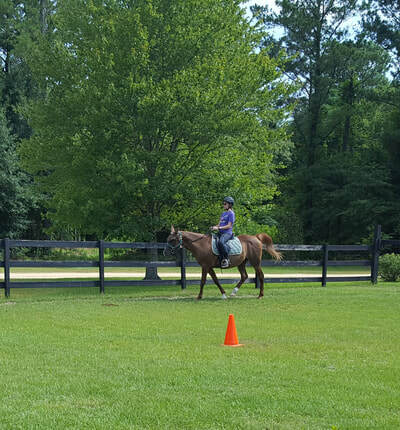 Students will learn how to trot on the lunge line, which allows the instructor to control the horse while the kids develop their skills. 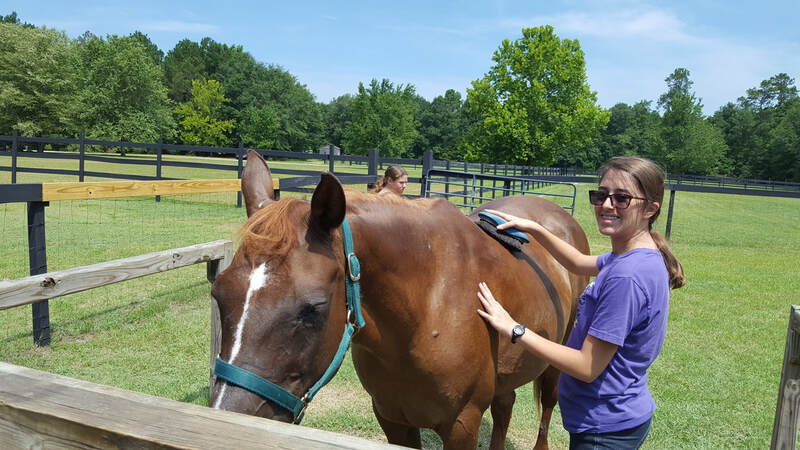 They will also work on learning how to steer the horses. More experienced riders can work on improving their current skills. Students will learn how to groom and tack up horses for riding. They will work on horse handling skills, such as catching and leading. Kids will help out with daily care. 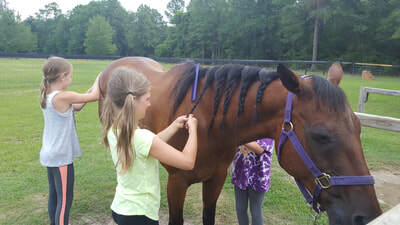 Students will learn all about horses. 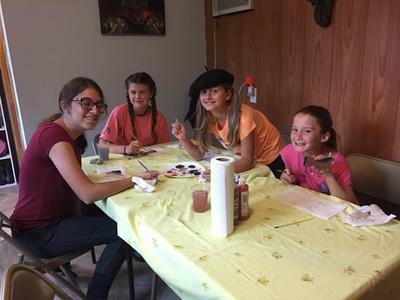 They will also play games and make crafts. Camp students are required to wear helmets, long pants, and riding boots when riding. Helmets are provided for students that do not have their own. 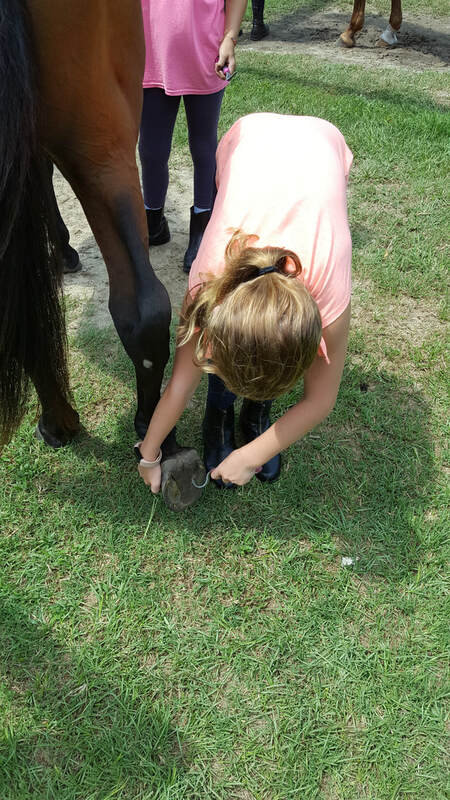 English riding boots or paddock boots are required for camp. Synthetic children's boots usually cost around $35. A limited range of boot sizes are available at camp to be used. If you would like to borrow instead of purchasing boots, talk to Jennifer. ​Please check out the Getting Started page or ask Jennifer for more information on clothing. All students in camps, except the Mini Mite Camp, need to bring a lunch each day. Please make sure their lunch is peanut free. If there is a little rain, we will continue with our usual activities as long as there is not any lightening. So for potential rainy days, a change of clothes and rain coat might be needed. 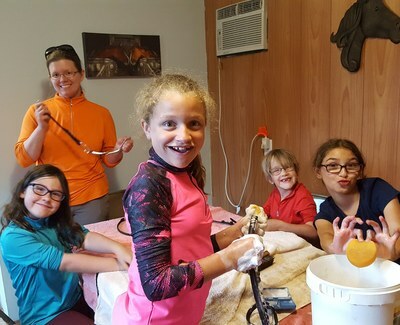 Rubber boots are nice to have for bathing horses and barn chores. You may drop-off kids up to 30 minutes early in the morning and pick-up up to 30 minutes later in the afternoon. An even later time for pick-up can be arranged for an additional fee of $3 an hour. If a later time is needed, ask Jennifer in advance. There will be a riding demonstration on the last day of camp for friends and family to come see the students show off their riding skills. Deposit of $100 is required to register for camp. Deposit is non-refundable. Balance is due on the first day of camp. There is a maximum of six students per camp. Student needs a release form filled out and signed by both parents. You can print one off from the link below. Call Jennifer at 843-639-1045 if you have questions and to register.